Listing Office: Checkal Red, Inc. Your tropical oasis awaits! Upon entering this remodeled, turn-key home you immediately are drawn into a tropical retreat. This home stands out with it's backyard open for entertaining, fit with a spa, fire pit, running water feature, and backyard light features run by solar. Fit with a beautiful mahogany wood laminate flooring, vinyl dual paned windows and sliding doors give an open flow to this home. 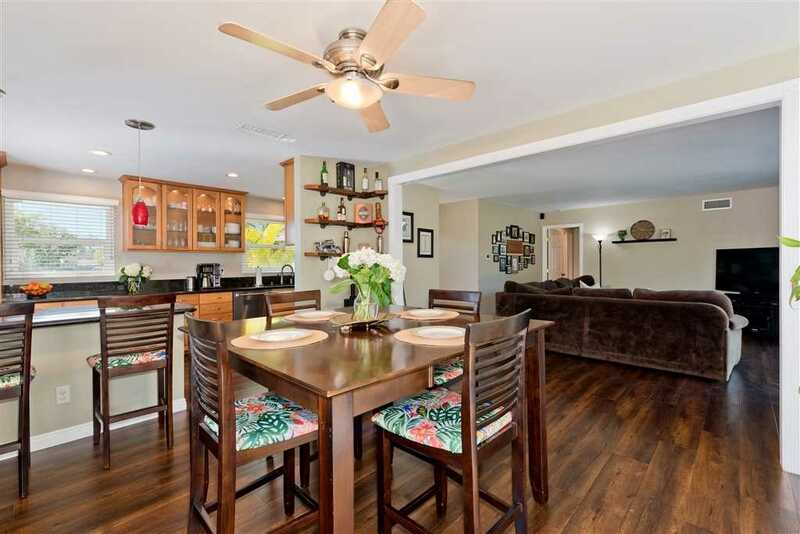 This open floor plan also boasts granite counters, and updated stainless appliances. This is a must see! SchoolsClick map icons below to view information for schools near 4726 Mount Hay Dr Clairemont, CA 92117. Home for sale at 4726 Mount Hay Dr Clairemont, CA 92117. Description: The property at 4726 Mount Hay Dr Clairemont, CA 92117 in the East Clairemont subdivision with the MLS# 190007632 is currently listed for $709,000 and has been on the market for 76 days. You are viewing the Sandicor listing details of the home for sale at 4726 Mount Hay Dr Clairemont, CA 92117, which features 3 bedrooms and 2 bathrooms, and 1284 sq.ft. of living area.